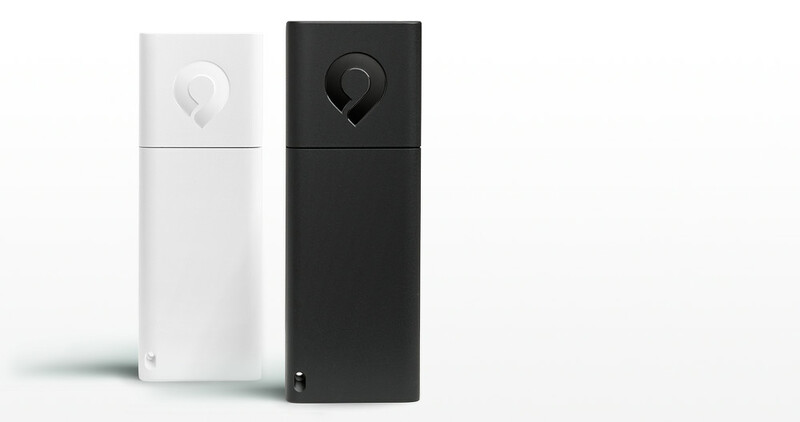 Dropcam Tabs, sticky movement sensors that can be placed anywhere around your house and used to send notifications when things like doors, gates or windows open, have been put on hold by the IP cam company, thanks to their recent acquisition by Nest. The products were first introduced back in May, going up immediately for pre-order. Unfortunately for those who pre-ordered, your order will never be fulfilled. This afternoon, Dropcam sent out status updates on pre-orders, stating that they are excited to begin “collaborating closely with Nest,” but that because of the acquisition, they are reassessing future product plans and canceling pre-orders. Those who ordered will receive full refunds within the next couple of weeks. 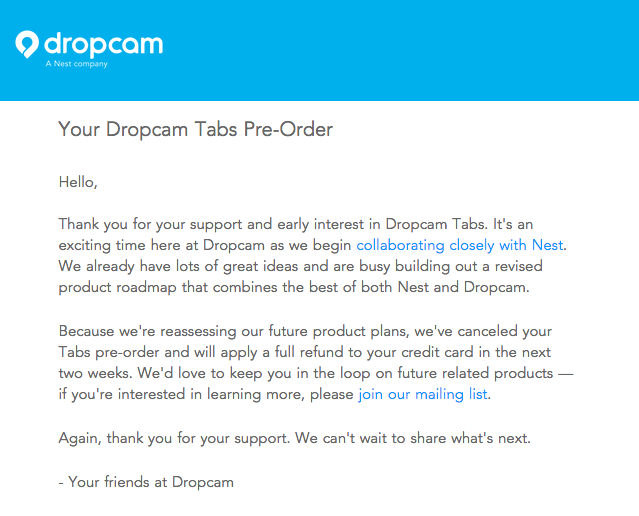 No mention was made as to the future of Tabs, only that Dropcam already has “lots of great ideas” and are busy building out a new product roadmap. The company has pulled promo videos for Tabs and is also redirecting the pre-order page back to the main Dropcam site. I don’t want to say that the product is gone forever, but the product could be gone forever. As someone who was looking forward to extending my Dropcam family of products, this is certainly sad news.